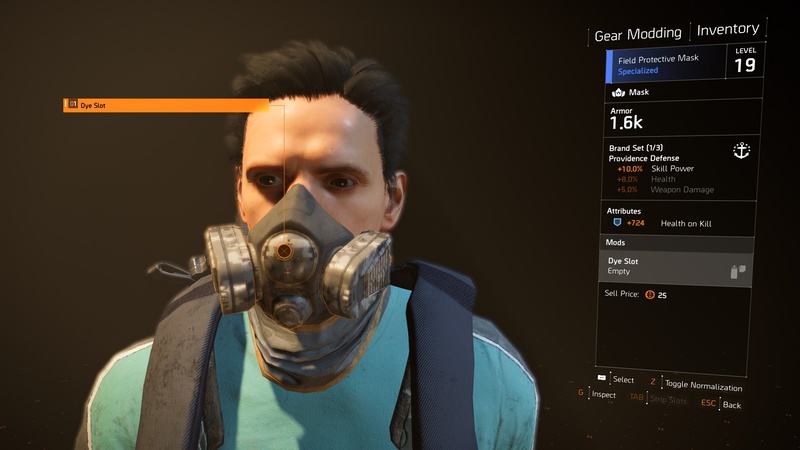 Having strong weapons and sturdy armour is only part of the puzzle when it comes to getting your Agent suited and booted, you’ll also need The Division 2 dyes. Yep, the real key to any Agent’s attire is the colour scheme of their guns and gear. After all, who wants to go into battle looking like Elmer the elephant? Well, thankfully you can change the colour of nearly everything you’re wearing in The Division 2. Just follow this handy little guide to finding and equipping new camo schemes and solid colours. Naturally, the first part of the puzzle is knowing where to look for these dyes. It turns out that for some reason it was decided that dyes should be airdropped into this contagion-stricken Washington, D.C. alongside more practical items like armour and weapons. 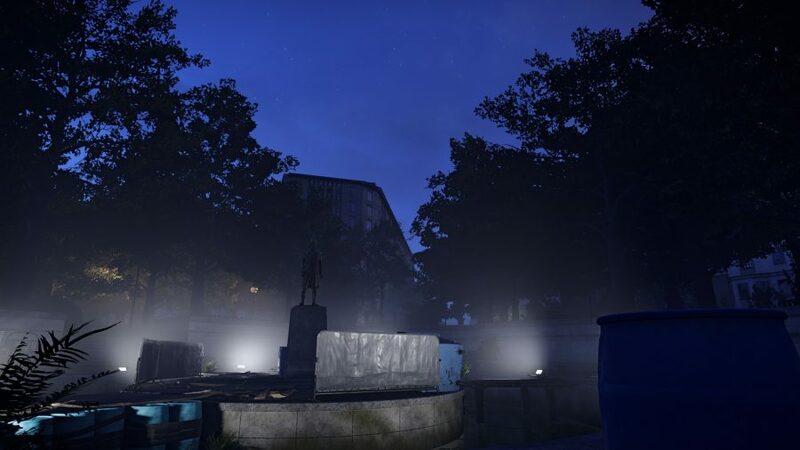 That’s right, you can find The Division 2 dyes in orange supply crates scattered across the city. However, in a strange twist of fate, nearly all of the orange dye crates with dyes in got caught up trees, cranes, and other high-up locations. So, you’ll have to go hunting around the open world for these orange crates and shoot them when you see them so their goodies spill out onto the floor below. To be more specific, you are looking for the bright orange supply crates pictured below. These are the same as the crates that you can find during some events throughout the city. These will nearly always include a dye until you have them all. It’s currently unclear whether the dyes you get from each orange can be found reliably, if you unlock them in a specific order, or if each crate randomly rolls a dye. The good news is that you won’t find duplicates as you scour the city. Every The Division 2 dye you find will be a new one until you have the whole set of camos and colours. Better still, it seems like these crates reset after 24 hours, so if you find a few close to each other you can create it like a daily dye farming route. If you’re really struggling to find one of these crates then there’s one not too far from the White House Base of Operations that you can visit daily to find new dyes. Open up your map, look for the circular ring road south of the White House, and drop a marker in the north-west portion of the circle. Visit the area and you should have no problem spotting an orange crate hanging from a tree. To equip them you just need to mod your equipment by hitting the F key over the desired item in your inventory. While there are a few practical slots on some of the higher-level gear, you are looking for the circle slot on each bit of gear. Just choose the dye you want, and you’re golden, or purple, or red, or patchwork. Whatever floats your boat really.